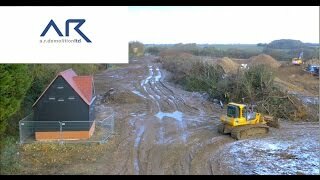 At A.R Demolition, we offer a comprehensive, professional and reliable demolition solution to Northamptonshire and across the surrounding area. A demolition project requires meticulous attention to detail and accuracy, full health and safety knowledge and compliance, and a thorough and rigorous planning process. At A.R. Demolition we manage the whole demolition process, offering peace of mind and only the highest standards of workmanship, via our team of experienced, client-committed, demolition experts. Complete Demolition Solutions from A.R. Health and safety is one of the most important elements of the service we provide, as we discuss and analyse your project to highlight and eliminate any potential risks before onsite work begins. Similarly, with experience in an extensive range of demolition solutions, we offer a truly complete service, meaning from asbestos removal to land reclamation and recycling, you can rest assured every detail is taken care of. As civil engineering specialists, we can offer a wide range of services and solutions for your project that you can rely on. We work closely with you to devise a plan that meets all your requirements, before carrying out top quality, professional work each and every time, no matter the size or scale of the build. With our committed, knowledgeable and welcoming approach to customer care, coupled with our years of experience in a range of industry specialisms, give us at A.R. Demolition a call today to find out more!